The technological revolution gives innovative learning tools to the teachers and the possibility to deploy new learning approaches for deeper understanding and better demonstration of the learning content. These tools aim to engage the learners in more active participation during the perceiving of knowledge. This paper presents a new learning approach for studying the ancient Bulgarian history and civilization by realize a storytelling in a serious game. The paper makes an overview of “serious games” and their power to seek creative and logical thought, problem-solving, as well as develop a variety of skills and competencies to the learner. It also includes a short presentation of the “digital storytelling” learning method, which successfully helps instructors to motivate students learning, stimulate curiosity, and to make them interested. Finally, the paper provides details for the proposed approach and its design, mainly with respect to target learning aims, expected outcomes and plans for future improvements. 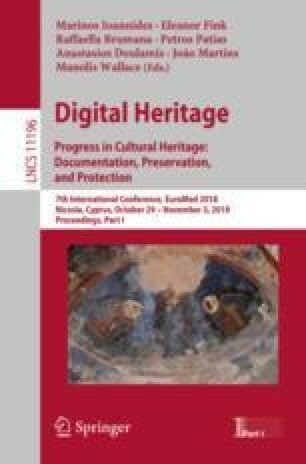 This work is partly funded by the Bulgarian Academy of Sciences under the research project № DFNP-17-31/25.07.2017 “Models and Tools to Increase and Customize Visitors’ Experiences in a Digital Cultural Content Management System”. This work is also partly funded by the Bulgarian National Scientific Fund under the research projects № DN02/06/15.12.2016 “Concepts and Models for Innovation Ecosystems of Digital Cultural Assets” (web site: http://cultecosys.math.bas.bg), WP2 - Creating models and tools for improved use, research and delivery of digital cultural resources.